The 2018 NBA playoffs are officially underway, with none other than J. Cole helping provide a proper soundtrack to the annual athletic affair. ESPN recently tasked the hip-hop heavyweight with the opportunity to lend his talents and bless their new promo with an original verse. Much to the delight of basketball and rap fans alike, the North Carolina native has happily obliged (and arguably over-delivered). The commercial, which features highlights from the season, includes footage of LeBron James, Steph Curry, Russell Westbrook, Ben Simmons, James Harden and more, while Cole weaves in his own touch of inspiration and motivation. "Never sleep on a man that's expected to lose/With a chip on his shoulder and something to prove," Cole spits, while the screen shows a video montage of Westbrook. Elsewhere throughout the promotional spot, the on-point basketball-themed bars continue, "When the odds ain't great / Some fold and break / While greats let the dreams of a ring motivate." 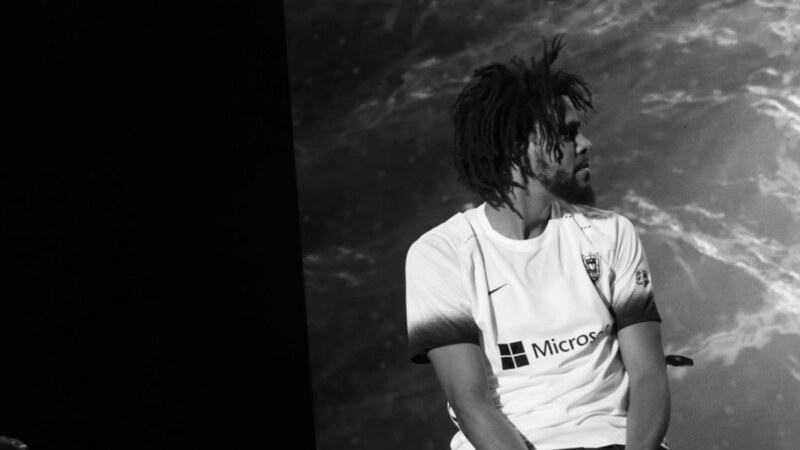 Check out J. Cole doing what he does best, this time in collaboration with ESPN and the 2018 NBA playoffs, below.